An Average Joe who was always on the run. He was late for his work, and late for his lunch. He was late for supper, and late for Sunday brunch. Late one evening, he caught a late-night movie. A horror flick that was pretty darn campy. The blood and the gore gave his heart quite the burden. And that's what ended the late Centipede Human. 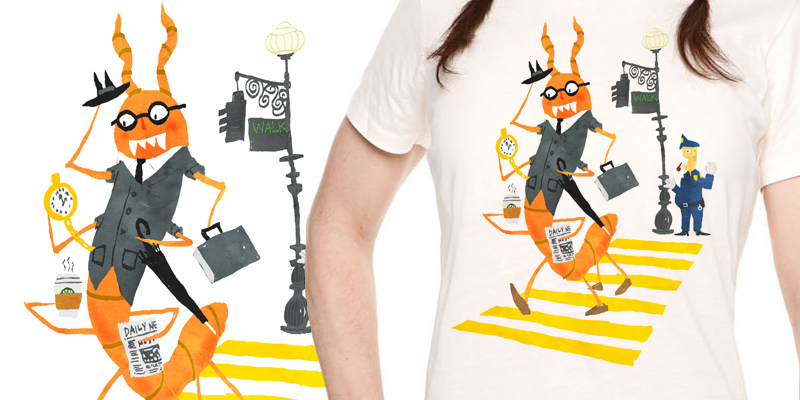 Up for voting on Threadless! This is cool. The title makes me think of The Human Centipede, and maybe that makes it even better!